The archaeological adventures of i.v. Jones, the new novel by Heidi Roberts, is the fictional retelling of an important time in the U.S. archaeology through the eyes of a twenty -one-year-old archaeologist named I.V. Jones. Ivy, as her friends call her, is witness to and participant in the complicated world of Utah archaeology in the 1970s, a period out of which came field-changing cultural resources management. This entertaining book also presents a woman's perspective on the demanding decisions involved in an archaeologist's life. The archaeological adventures of I.v. 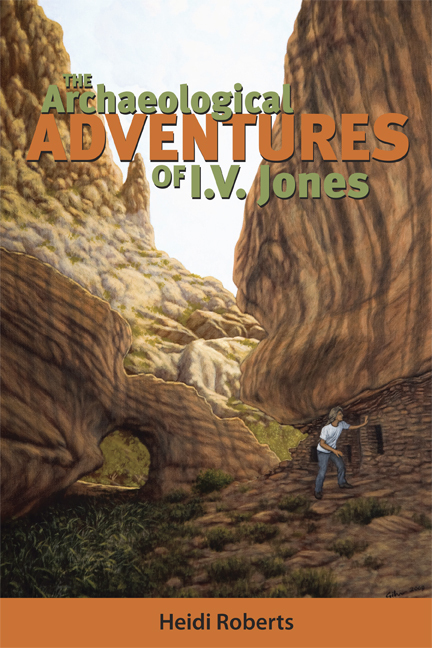 Jones takes the reader into Ivy's unique and memorable world, providing a true-to-life account of a "dig bum," and aspiring archaeologist, and a woman trying to balance her professional and family life. Heidi Roberts has been a professional archaeologist since 1978 and is the founder and president of HRA Inc. She lives in Las Vegas, Nevada. 14. Are We Having Fun Yet?